Use Your TV, Computer, Gaming Console, Wall Charger or any USB Socket for Power! 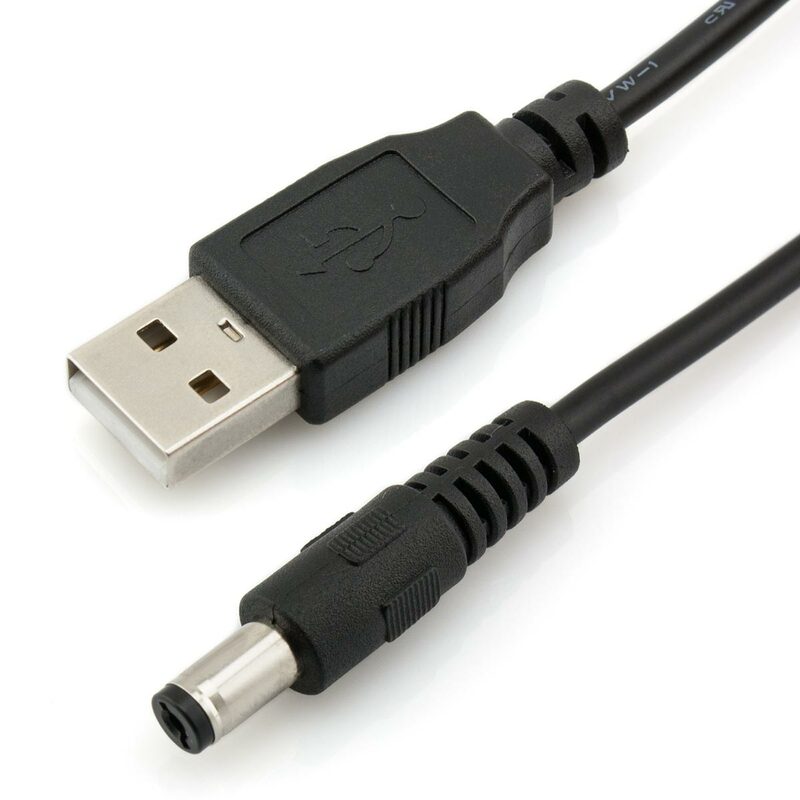 This USB to 5V DC Power Cable provides the perfect solution to take advantage of the convenience that a USB port can provide. Instead of using a mains power adaptor, you can simply use this cable with any available USB socket. On one end of this cable is a standard USB connector, which can be inserted into an available USB socket. On the other end is a DC barrel connector, featuring a 5.5mm x 2.1mm plug tip which is inserted into the electronic device for power. Note: The available power will vary according to the type of USB socket used. Most USB sockets found on computers and TV's can output from 0.5A to 1A, while many wall adaptors can output up to 2A.